Welcome Home to this beautiful, fully furnished, 3 Bedroom, 2.5 bath 2-story townhouse in the Cherry Grove section of North Myrtle Beach. Located East of Business 17, and just 3 short blocks to the beach, what a great place to enjoy all that North Myrtle Beach has to offer! This fully furnished townhome is an end unit and is located in the Fairway Oaks community. The townhome features an open living and dining area with tile floors throughout the main level including the kitchen and all bathrooms. The living room features a wood burning fireplace, as well as sliding glass doors to lead to a patio with space to grill and enjoy the serene pond views. The master bedroom is located on the ground level and features a full bathroom with a dual sink vanity. A laundry closet and half bath are also located on the main level. There is a full-size Washer and Dryer that will convey with the sale of the home. Upstairs are two bedrooms, as well as another full bathroom. Fairway Oaks is nestled between the Surf Golf & Beach Club and 20th Avenue North in Cherry Grove. The community features a clubhouse and outdoor pool, located just a few hundred feet from this unit. Fairway Oaks in going to begin undergoing major exterior renovations in February 2019 including new roofs, new siding, new gutters and new shutters. This work is being paid for via special assessment. The owners of this condo will pay in full the previously announced special assessment. 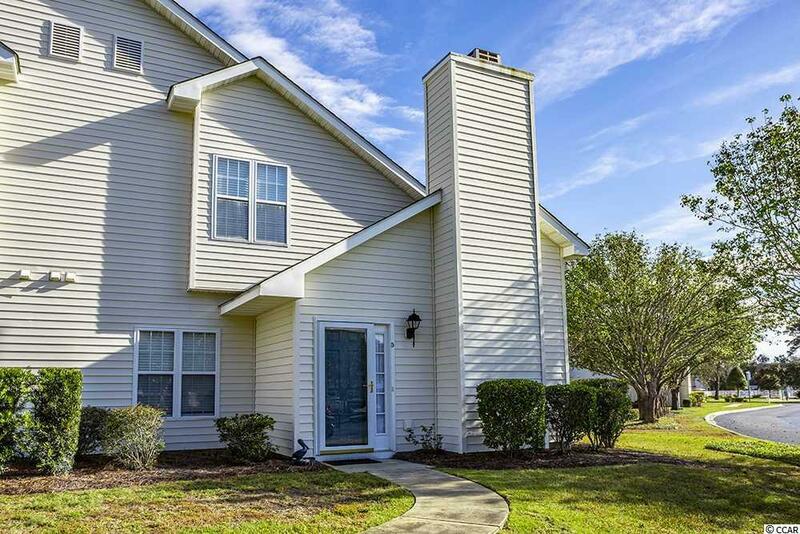 As a condo community Fairway Oaks offers maintenance free living with the HOA fees including exterior maintenance, landscaping, High Def cable, water & sewer service, and monthly pest control. Contact your agent today to arrange a private showing! Easy to See!